The founder of MIT’s AgeLab warns that most financial advisors aren’t prepared for the profound changes and challenges that will come with longer-living clients. Joe Coughlin spends much of his professional life researching the future of products and services for older adults, and he has a message for the financial advisory field: start innovating quickly—or be ready to pay the price. Coughlin is the founder and director of the Massachusetts Institute of Technology AgeLab, a multidisciplinary research program that studies the over 50 population, along with technology and product design and innovation. 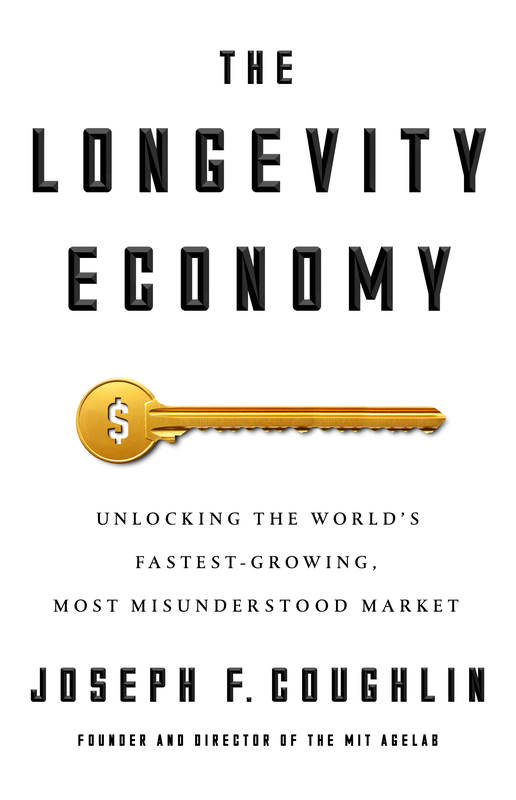 His recent book, The Longevity Economy: Unlocking the World's Fastest-Growing, Most Misunderstood Market (PublicAffairs, November 2017), explores how most industries—including advisors—fail to understand and service this rapidly evolving group. We’re hurtling toward a much older nation and world. The planet had 617 million people over aged 65 in 2015, a number that will increase to a billion by 2030 and continue to grow through the first half of the 21st century. Yet Coughlin cites research stating that less than 15 percent of companies have established any type of business strategy focused on older adults. In an interview, I asked Coughlin how is the financial services industry—and financial advisors, in particular—doing when it comes to gearing up to serve the emerging longevity economy. His responses should give pause to anyone in the advisory field hoping for longevity in their own business. An edited transcript of our conversation follows. Mark Miller: Joe, you argue that most businesses are not doing a good job preparing for the longevity economy—but you also mention financial services as one industry that has taken a “relatively proactive approach” to studying how population aging will affect their bottom lines. What do financial services companies get right—and where does the industry still need to improve? Joe Coughlin: There are two industries that own longevity—one is financial services, because it’s always trying to get us to think about old age and how to plan for it. The other is pharmaceutical, so health and wealth are two bookends. But if you talk to retail, media or the auto industry—anyone over 35 years old is virtually invisible. But most financial advisors are still focused on the concept of retirement as we once knew it. That’s a made-up concept—and it needs to be retired. We need a new story about this part of life, but financial advisors are still making plans today based on an old narrative that is no longer realistic. The old story of retirement is about pulling back—you travel, play golf or tennis or walk on the beach. Or, we’ll all be riding bicycles as we age. But aging has so fundamentally changed that these old narratives are not going to be adequate, because our needs and interests are changing. What older people today might aspire to become or accomplish falls by the wayside. So I’m suggesting advisors need to reinvent themselves as longevity planners or navigators. Start anticipating for us not just expenses but this entirely new life stage that is uncharted territory. MM: Your book also focuses on disruptions that will impact a variety of industries. What is the disruption that faces financial advisors related to the longevity economy? JC: There are two, actually. One big one is the advent of robo advisory services. But advisors should embrace this, and not fear it—because the technology will enable them to focus not on managing portfolios, but having a more intimate relationship with clients than ever before. One thing a good adviser can do is tell stories and relate, and bring emotion into the conversation about how to retire. Algorithms make for terrible conversationalists! Advisors will need a new set of skills and knowledge so that they can have these conversations. But really, they will need to assemble an entirely new advisory team. I want them to remain at the center of relationship—between themselves and the client family—and it is a family, not just the client. But the team needs to be expanded—not just to lawyers and accountants, but geriatric care managers, for example. Aging-in-place contractors who know how to remodel a kitchen so it is cool but you can use it as you age. Someone who can assess transportation options for someone living in the suburbs. Downsizing consultants. Advisors will need to provide retirement solutions, not only plans or products that provide money. MM: And the second disruption? MM: What is the threat to advisors who don’t move in this direction? JC: The good news is that financial advisors already have the relationship. So, I think they will be on the frontier of a new industry, if they take action in the next few years. If they don’t, I think another set of industries will come together to grab the imagination and attention of this market—which is the fastest growing and most affluent market in the world. MM: What new industries do you have in mind? JC: We’re already starting to see the pharmaceutical industry showing interest in this. The mega-merger of CVS and Aetna is one example—you can see that they’re looking at what other services they can provide that wrap around medications. Amazon has Alexa, which is all about making your life easier and having stuff installed in the home. Amazon already has books, entertainment, web services. They might not be explicitly targeting the 50-plus market, but the ease of use and personalization they offer is ageless. MM: You include a chapter called “The Future is Female,” which outlines the critical importance of women in the longevity economy. How will that play out in financial advisory field? JC: So many businesses just miss this. Women not only live marginally longer, but have more formal education than men. That makes them not just better-educated ... but they are the researchers in most households. They are the vector consumer. A women in her mid-40s to mid-50s is far more likely to be the true advisor to her millennial children on all kinds of decisions, but they also are the caregiver-in-chief in the household. Eighty to 90 cents of every healthcare decision is made by a woman. They have direct influence on 70 percent of all automotive purchase decisions. Yet research by Boston Consulting found that most women feel disrespected, and condescended to, by financial services companies—much higher than by industries like healthcare or automotive. Financial advisors will say that their relationships with clients are good, but they are most often looking at the male client across table, with a few gratuitous nods to the female partner. But she is the one who actually knows how their retirement will be spent. So advisors need to not just pay more attention—and it’s a fine line between that and being patronizing—but focus on what are the jobs this woman actually is performing in the household. And, what will her needs be down the road when she is living alone? Who will change the lightbulbs for her when she is 80?